Hiring employees can be a challenging process. It’s important to make sure the potential employee will suit your organization’s culture and team, as well as offer the skills and qualifications needed to excel in the position. Here are some tips to making sure you hire the right healthcare candidate for your business. Providing an effective job description for the position is the first step in helping you hire the right healthcare candidate for your company. Properly identify behaviors, skills, and qualities the role requires, ensuring these assets will add value to the position. Develop a clear hiring standard based on those specific factors and remember to keep job descriptions updated if the position changes or develops. Set up a meeting with the key employees who will be involved in the hiring process. Individuals with in-depth knowledge of the job and what the role requires are often better at evaluating how candidates will prosper in the position. Make sure to involve them in your recruiting strategy. Once you plan your strategy, execution begins. After reviewing a candidate’s resume, conduct a phone screen to help eliminate candidates that may not be right for the position. You can also allow your consultant at HSS to conduct a phone screen. If the candidate sounds perfect don’t hesitate to offer the job. Great candidates go quickly. To draw fair comparisons from applicants, ask the same interview questions to help establish a consistent and successful hiring path. Have a checklist to help you systematize your employee hiring process by allowing you to keep track of your recruiting efforts. If all the information collected during the interview process makes sense for your business, you can extend your job offer to the candidate. 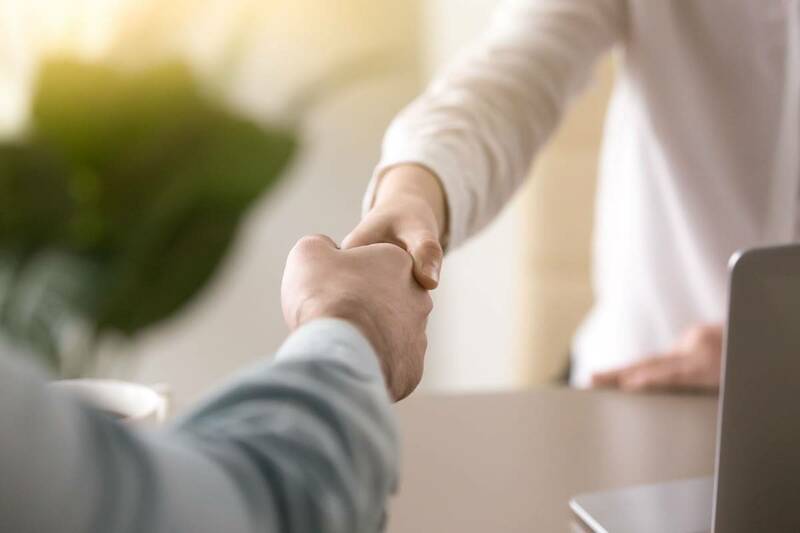 Remember that the key to any successful employment offer is to view it as a process that begins from the moment you interact with a potential candidate and ends when all screenings are completed and they begin the assignment. Once your new hire gets started, remember to do your best familiarizing them with your business. Helping the new employee will ensure their success within your organization. At HealthCare Support (HSS), we know how challenging the recruiting and hiring process can be within your healthcare organization. As a result, we consider ourselves the matchmakers of the staffing world. Our hiring process focuses on putting candidates in the right job. Contact us at 888-219-6285 to let HSS help you meet your recruitment goals.